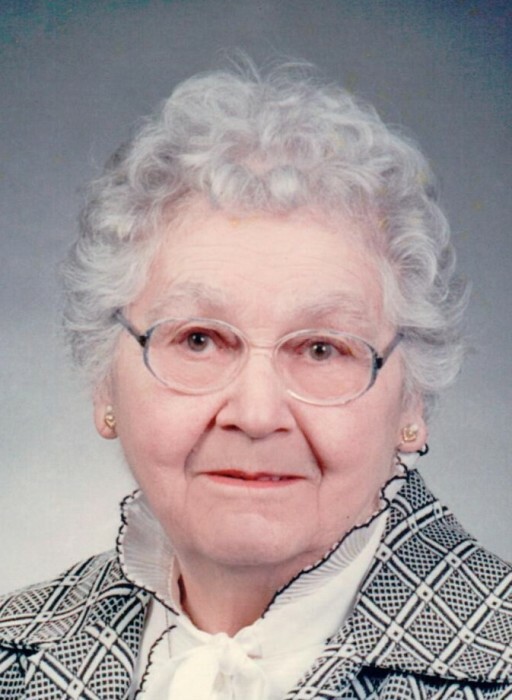 Delores M. Zimmerman, 95 of Helenville, passed away on Thursday, January 17, 2019 at Ohana House (formerly Eagle View) of Jefferson. Delores was born on March 23, 1923 in Helenville, the daughter of Conrad and Violet (Zimdars) Hintermeyer. On August 28, 1943, Delores married LeRoy Zimmerman and the couple had 4 children. Delores and LeRoy enjoyed 48 years of marriage until his death in 1991. Delores was a homemaker and the wife of a hard-working farmer and factory worker. Delores enjoyed working on the farm and was a true animal lover. She appreciated God’s creation and took time to admire the flowers and birds but made sure she was home and inside by dark. She didn’t care for television but looked forward to listening to the Milwaukee Brewers on the radio. Delores was a member of the St. Luke’s Lutheran Church of Rome/Sullivan from marriage on and rarely missed a service. She loved her grandchildren dearly and looked forward to their visits on the farm. Delores is a lady who will be missed by those who knew her. She is survived by: her children Jean Naatz-Schmidt of Juneau, Betty Pagel of Rome, Ron (Cathy) of Jefferson, and Randy (Suzette) of Essexville, MI; 11 grandchildren, 12 great-grandchildren, and 2 great, great-grandchild; and a sister Delaine Mulvaney of Reeseville. Delores is also survived by a number of other relatives and friends. She is preceded in death by her parents, husband, granddaughter Dianne Naatz (2017), and brother Everett Hintermeyer. The family would like to express a sincere thanks to the staff of Ohana House and Rainbow Hospice for the loving care provided. A funeral service will be held at 11:00AM on Tuesday, January 22, 2019 at St. Luke’s Lutheran Church of Rome/Sullivan with Rev. Mike Mannisto presiding. Visitation will be on Tuesday from 9:00AM until the time of service at the church. She will be buried at St. Luke’s Cemetery following the funeral.